Shadetree will include 260 apartment units situated on 30 acres in Ruskin's Cypress Village neighborhood, an upscale golf course community. Shadetree will mark the first significant market rate apartment development that the submarket has seen in decades, and will be delivered at a time when the area is undergoing tremendous growth. Perhaps the most prominent indicator of such growth has been Ruskin’s Amazon fulfillment center, which employs 2,500 full-time workers and is situated less than 1 mile from the Shadetree site. Additional employers within a 5-mile radius include two higher education institutions and two major hospitals, each of which are in phases of rapid expansion. Residing just 2 miles from an I-75 interchange, Shadetree tenants will also enjoy commutes of 30 minutes or less to major employment centers in Brandon/Riverview, Lakewood Ranch, Bradenton, downtown Tampa, and downtown St. Petersburg. Shadetree is currently pre-leasing, with first occupancy planned for Q1 2019. Arbor Oaks is a 198-unit fractured condo/apartment property located in Bradenton, FL. Framework Consulting and Construction advised Arbor Oaks’ private equity ownership group in developing the property’s renovation and repositioning strategy. Key to the effort is Framework’s development of the renovation approach, as the property is mostly occupied by both renters and condominium owners. Framework is currently carrying out the property’s renovations, including new new cabinets, tops, backsplashes, flooring, plumbing and electrical fixtures, paint, and appliances. Funded through the U.S. Department of Housing and Urban Development’s Community Development Block Grant, Framework Group and DDA Development formed a joint-venture to purchase, rehabilitate and re-lease this 36-unit apartment project in Tampa, FL, just outside of the entrance to MacDill AFB. Formerly a neglected property that was a blight to one of the highest-income communities in Tampa Bay, this property was completely transformed utilizing Green Building Practices such as low-e windows, new insulation, Energy Star appliances, FL-friendly landscaping, low-flow plumbing fixtures and solar powered common hot water. Through this effort, the Framework/DDA partnership has re-set the life of this structure for the next 30 years. 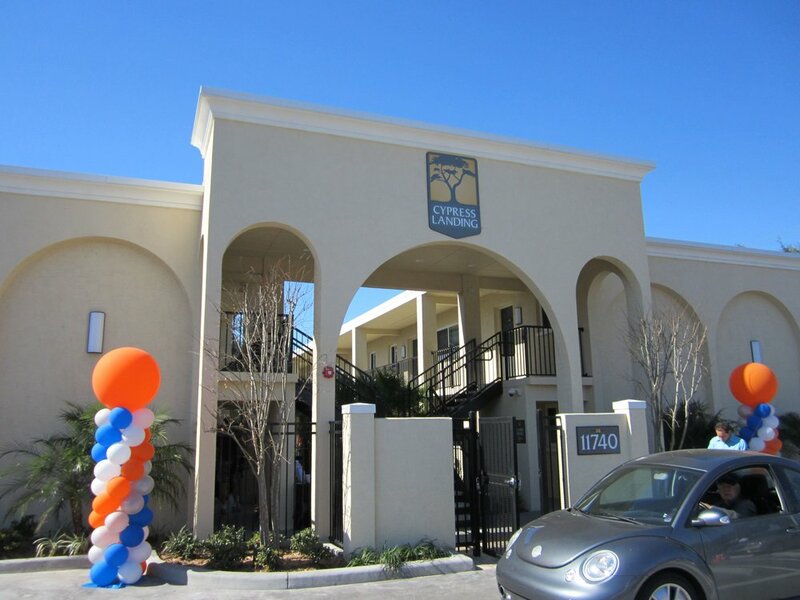 Framework Group managed the partial rehabilitation of Grande Oasis at Carrollwood development after a damaging fire. A mix of condominium and rental apartment units within the project presented challenges in project scoping, pricing and management. Extensive water damage, code compliance, and unforeseen conditions added layers of technical complexity. Framework employed creative problem solving, diligent client reporting, insightful guidance and an overall “think like an owner” philosophy in order to successfully deliver a high quality result. Framework Construction acted as Housing Partner with the City of Tampa and General Contractor for the rehabilitation of this 24-unit project located in South Tampa off Bayshore Blvd. With funding through HUD’s Neighborhood Stabilization Program, the project was completely rebuilt using sustainable building practices, and is 100% leased to residents who meet the affordable housing eligibility requirements. Funded through the U.S. Department of Housing and Urban Development’s Neighborhood Stabilization Program (NSP), Framework and DDA Development formed a joint-venture to purchase, rehabilitate and re-lease this 38-unit apartment project in Tampa, FL. Formerly a neglected property that was a blight to one of the largest medical and middle-income communities in Tampa Bay, this property was completely transformed utilizing Green Building Practices such as low e windows, new insulation, Energy Star appliances, FL-friendly landscaping, low flow plumbing fixtures and solar powered common hot water. Through this effort, the Framework/DDA partnership has re-set the life of this structure for the next 30 years. Sustainability starts with projects such as this, and we were proud to have been awarded funds from HUD and the City of Tampa to help meet the goals of the NSP program. Through a partnership with DDA and MHC, Inc. (a health care non-profit), Framework served as co-developer and general contractor for this 55-unit rehab funded by HUD’s Neighborhood Stabilization Program. This property is located in the 40th St. corridor of the City of Tampa, which has recently seen a $50M infrastructure investment. Similar to Mariposa, this neglected building and property had been foreclosed and vacant. It, too, was renovated with the latest Green Building practices, and began leasing in September 2011. Oakview’s management was recognized for its rehabilitation of the Tampa apartment homes. Framework served as pre-development consultant for the Park 30 project, a 216-unit garden style community to be located in Bradenton, FL. With entitlements, pre-development and design successfully completed, Park 30 is scheduled to break ground in 2018. Framework was the fee developer for this 260-unit luxury apartment project by Newland Communities, its first multi-family development within the award-winning Fishhawk Ranch in Lithia, FL. Construction began in May 2014, and was completed in December 2015. Framework Consulting acted as Owner's Representative for DDA Development on this 96-unit tax credit project for seniors in the urban core of St. Petersburg, FL. Framework coordinated pre-development, design, and construction activites with the owner and third party general contractor. Mirrorton is set to radically transform a 10-acre city-owned property on the fringe of downtown Lakeland, FL. The extensive planning effort was the product of a thorough RFQ process and coordination effort with the City, the Downtown Community redevelopment Agency and the citizens of Lakeland. The proposed development re-engages a long-vacant and important multi-block area back into the downtown core. With its 305 units delivered in a mixture of townhouses and 3- and 4-story flats, Mirrorton will serve demand for new, high quality rental housing in Lakeland’s vibrant downtown. A freestanding amenity building will house a fitness center, coffee bar, spa, meeting and work areas, pet spa, and a host of social gathering spaces including an attached outdoor terrace and pool. The site design is focused on establishing connectivity and a new urban feel, with orderly downtown blocks, on-street parking, minimal building setbacks, and pedestrian accommodations such as generous shade and sidewalks. The project’s architecture is a blend of precedent and innovation that utilizes traditional materials in contemporary forms. The Mirrorton site is currently under contract and the project is scheduled to begin construction in 2019.